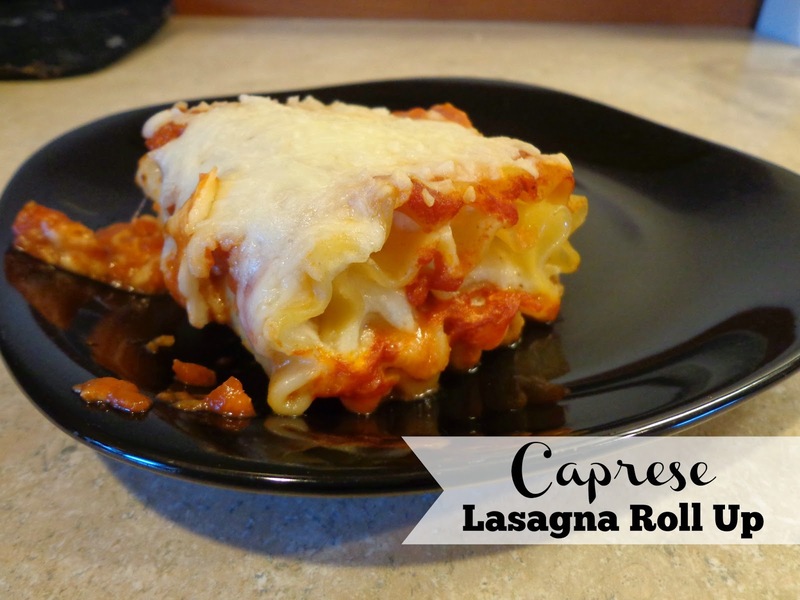 These Caprese Lasagna roll ups were delicious. They did have a few steps to them, but still really easy to make and they tasted great. Place 1/4 cup of the cheese mixture over each lasagna noodle and spread into an even layer, going from one end of the lasagna to the other. Align 4 thin tomato slices over cheese mixture then sprinkle fresh basil over top. 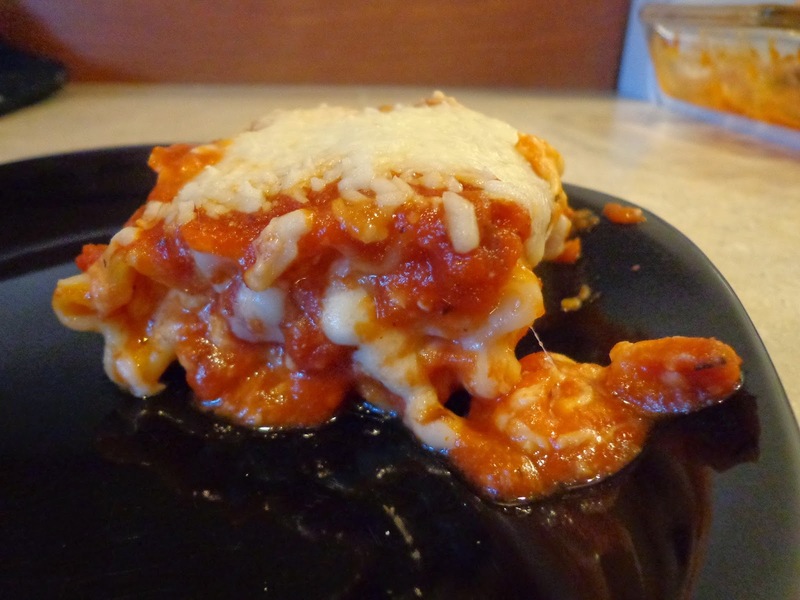 Snugly roll lasagna noodles to opposite end. Spread about 1/4 cup pasta sauce in the bottom of an 11 x 7 inch baking dish. Align lasagna roll ups, seam side down in dish. 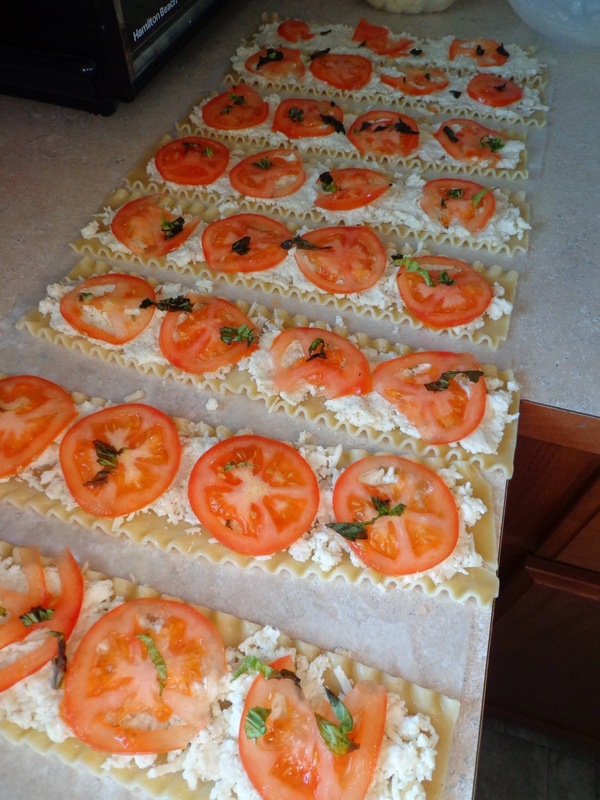 Top each roll up with about 2 Tbsp of the pasta sauce (covering edges of pasta so they don’t dry out while baking). Sprinkle top with remaining 2 oz. shredded Mozzarella. Bake in preheated oven 30 minutes. Remove from oven, plate pasta and garnish with plenty of basil ribbons. Serve warm. My basil was looking a little sketchy by the time I made these so I didn’t have much to put in them and none for the top. These Caprese Lasagna roll ups still tasted delicious, though I would make sure I had enough next time as the basil tasted amazing. Happy Friday everyone! Make it a great day!